Hello again! It’s me Emma, Seattle’s unofficial Instagram queen and local fashion/lifestyle blogger. 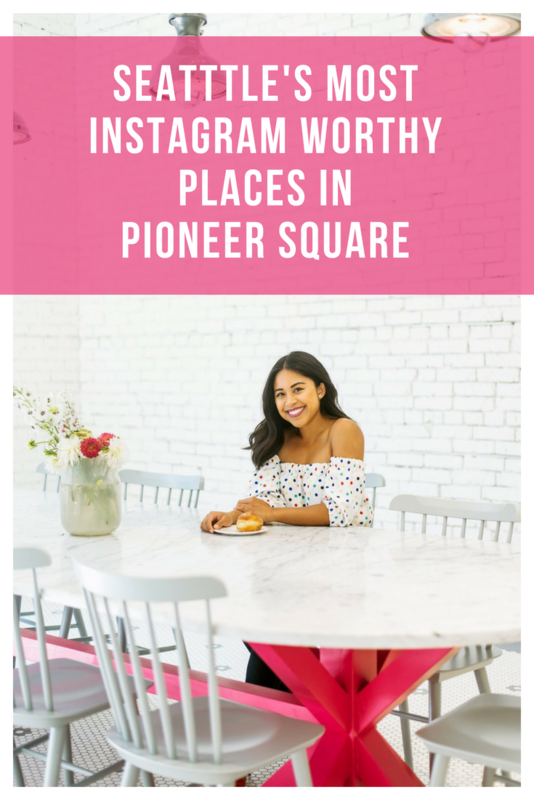 I’m back to bring you Seattle’s Most Instagram-Worthy Places in Pioneer Square! 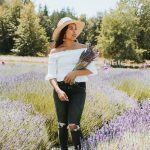 I’ve made it my mission to show you the most Instagram worthy places throughout Seattle. So far we’ve seen 8 Unique Instagrammable Spots in Seattle and we’ve also explore the most Instagrammable Places in the Capitol Hill Neighborhood. 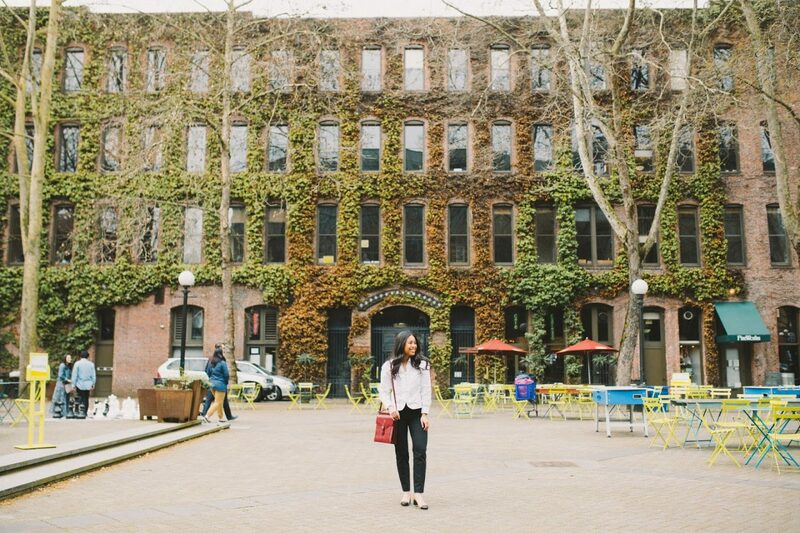 This month we’re exploring Seattle’s Pioneer Square neighborhood. 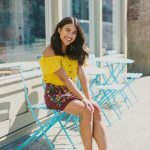 If you’re planning a trip to summer this year or planning a staycation in the city, this blog post is for you! If you’re planning on seeing a Mariners Game, Seahawks Game, or want to wander around the greater downtown area, you can definitely find this places on your way there. Before we discover the most instagrammable places in this neighborhood, what and where is Pioneer Square? Did you know that Pioneer Square was Seattle’s first downtown area? The early settlers came to Seattle area/Elliot Bay in the 1850s. Chief Seattle, the leader of the Duwamish and Suquamish tribes who had lived in the area for over 10,000 years, sought to create an alliance with the white settlers. You can reach about Pioneer Square’s incredibly rich history here. Pioneer Square is right next to Seattle’s main downtown area, International District/Chinatown, and sports stadiums. 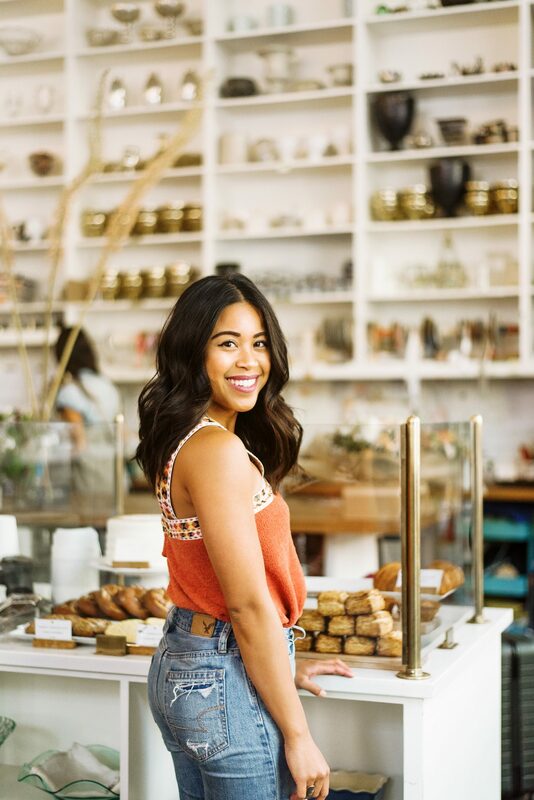 It’s filled with adorable historic buildings, great places to eat, and of course, insta-worthy places! 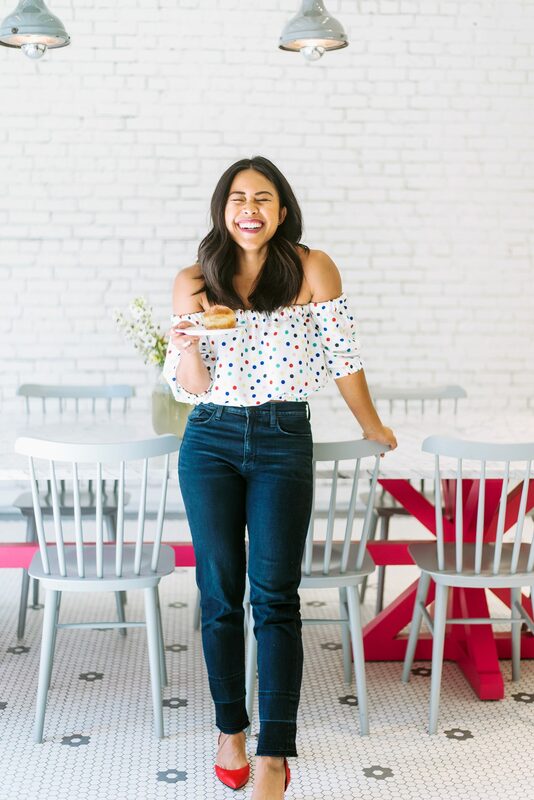 If you love doughnuts and are looking for something sweet in the city, General Porpoise Doughnuts is the spot! General Porpoise has both classic flavors, like lemon curd and vanilla, and new ones like peanut butter jelly. 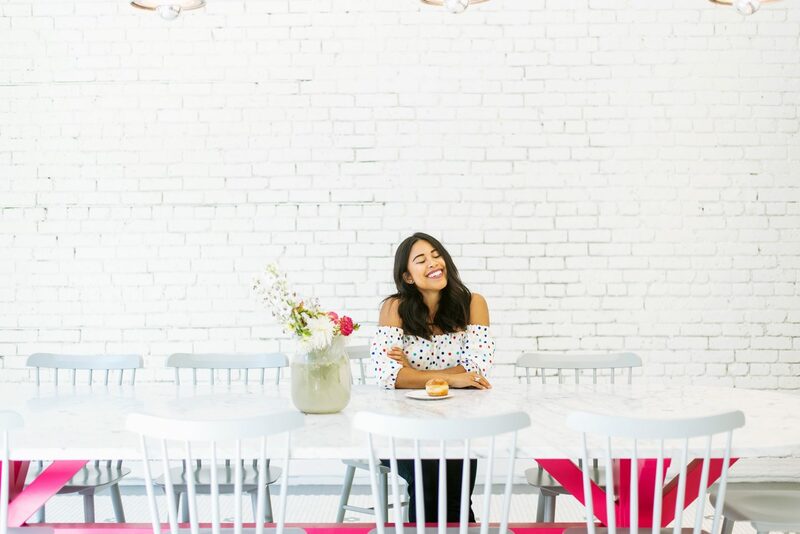 I highly recommend stopping by GP for a doughnut and cup of coffee – plus the white minimalist interior with pink accents is perfect your next Instagram pic! This was probably my most exciting find when I was researching Seattle’s Instagram worthy spots in Pioneer Square! 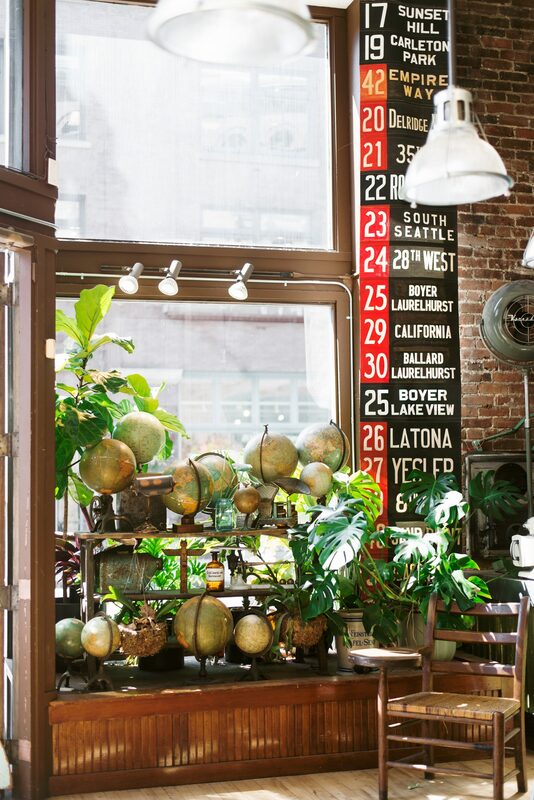 I was literally dying over the greenery, the globes, and the vintage bus signs. If you want to do a little bit of shopping and sip some coffee, stop by Uptown Espresso in Callus. In addition to coffee, Callus houses local pop up shops. The London Plane is probably one of the most well-known Instagram worthy spots in the city. 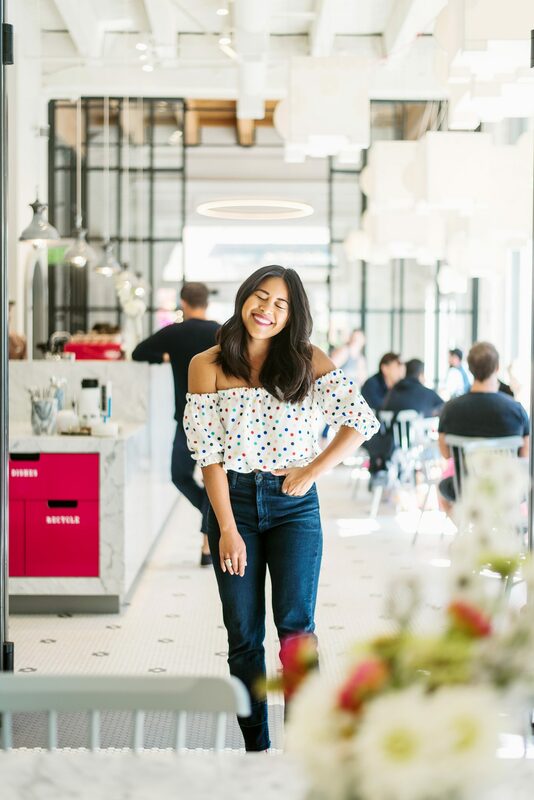 If you’re looking for a place to brunch and take an Instagrammable bunch photo, the London plane is the spot! 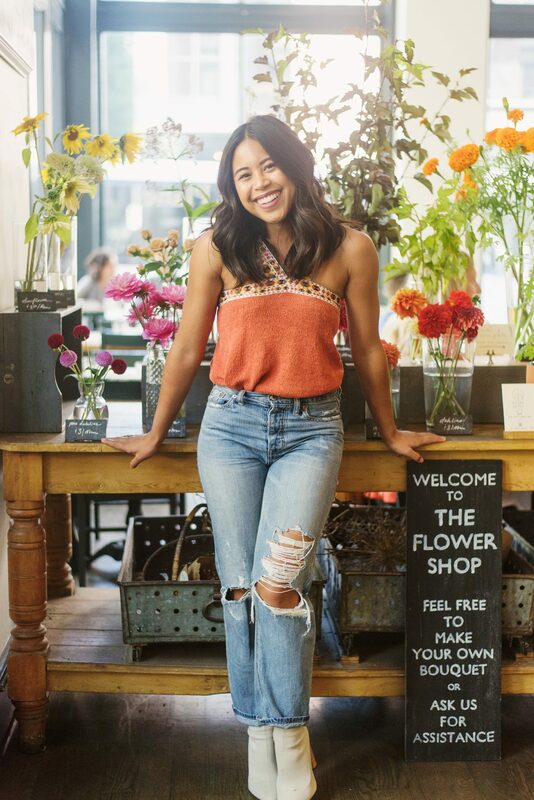 The London Plane also has an adorable mini flower shop set up inside. If you’re looking to take photos inside, make sure you ask for permission and buy something (out of courtesy). This place can get super busy – especially if you’re trying to take photos on a Saturday or Sunday. 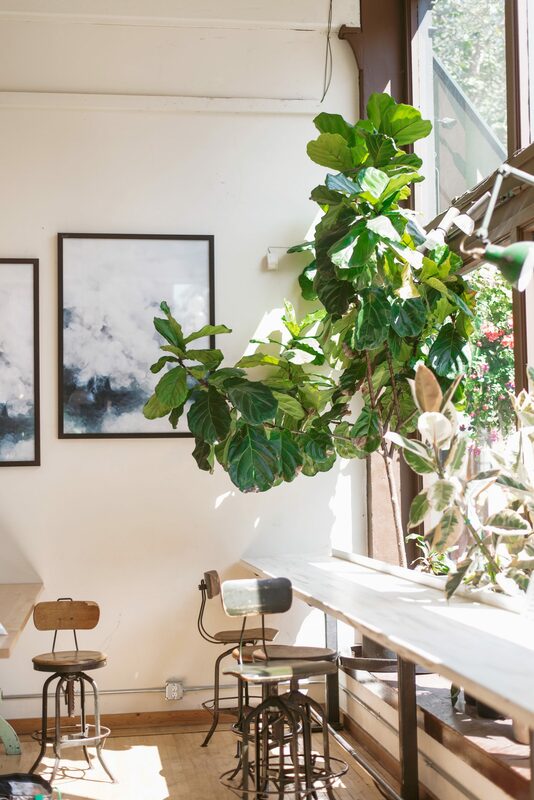 The great thing about the London Plane is that this Seattle restaurant is instagrammable on the inside AND on the outside. The London Plane is located in Occidental Square which is one of my favorite spots to takes photos in the city! If you’re looking for a classic cup of coffee, a clean, simple interior, and a great vibe, stop by Elm Street Roasters. I personally love the bright blue chairs and tables right outside of the coffee shop! Plus the baristas are always friendly! Thank you to Pink Lily Boutique for gifting this skirt! 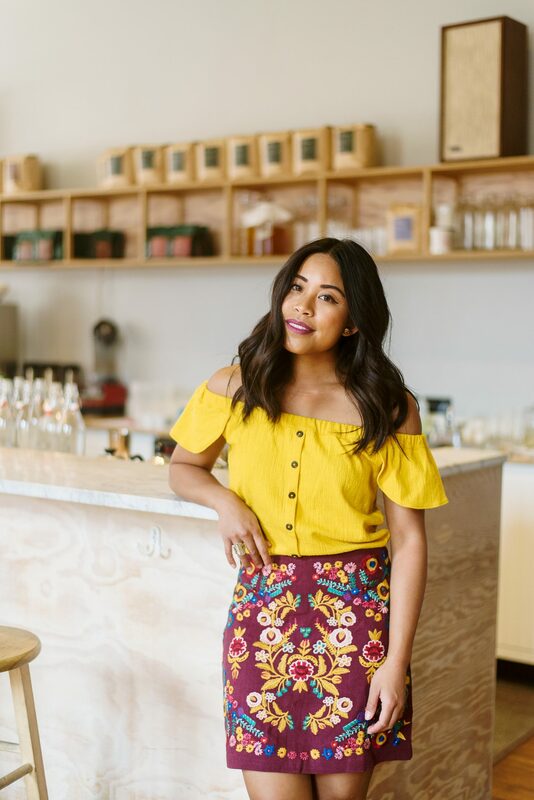 You can shop this exact embroidered skirt here for $42! Casco Antiguo is probably my favorite happy hour spot in Pioneer Square. 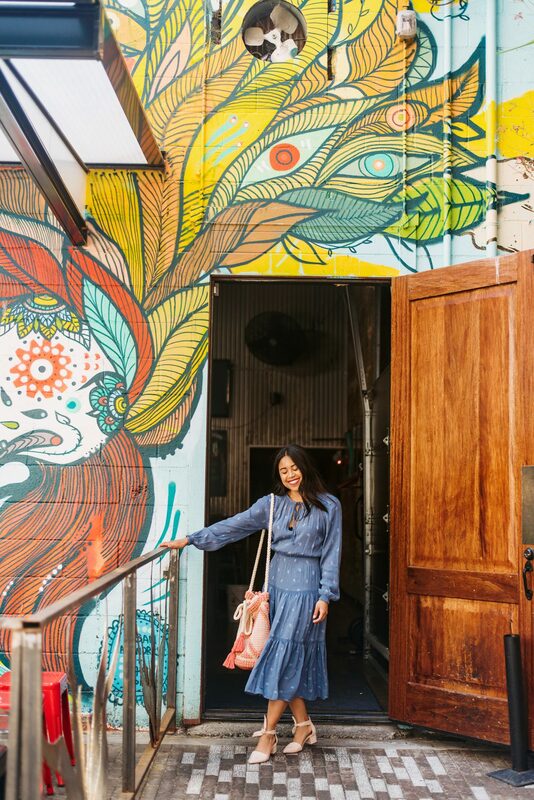 Don’t let the plain store front fool you, Casco Antiguo has this amazing mural in the back patio and the food is AMAZING! I first stopped by this restaurant earlier this year before going to watch a friend’s play. You can also access the back patio and see the mural by walking through the alleyway between S Washington Street and Yesler Way. I highly recommend stopping by Casco Antiguo to eat and also take a photo of their amazing mural! If you’re walking through Pioneer Square, you’ll most likely walk through Occidental Square/Park. Besides being absolutely Instagram worthy, Occidental Park also hosts concerts and outdoor events in the city. If you love old buildings, brick, and history, stop by Occidental Park. 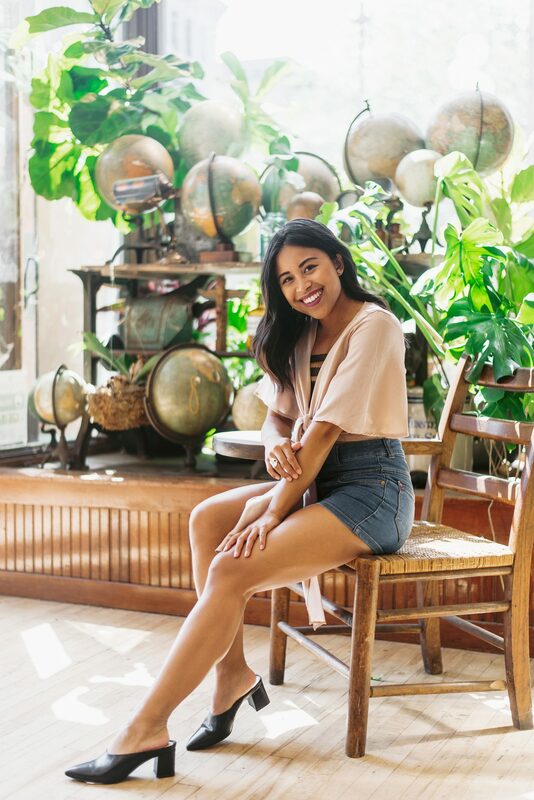 If you want to see more photos of Occidental Square/Park, I’ve featured this amazing location on 6 Reasons Why You Should Donate Your Clothing at your Local Value Village and How to Ask for an Informational Interview. Built in 1889, the Cadillac Hotel has survived over a century in Pioneer Square. If you’re interested to learn more about the Gold Rush, the Cadillac Hotel actually is the permanent home for the Klondike Gold Rush National Historical Park. I absolutely loved this vintage sign and passed it one day during a photo shoot! There you have it friends! 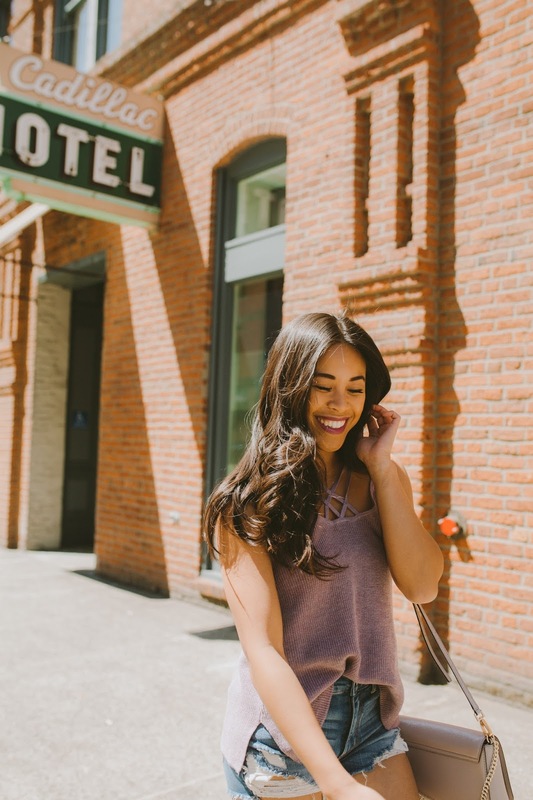 Some of the most Instagram worthy spots in Seattle’s Pioneer Square neighborhood! 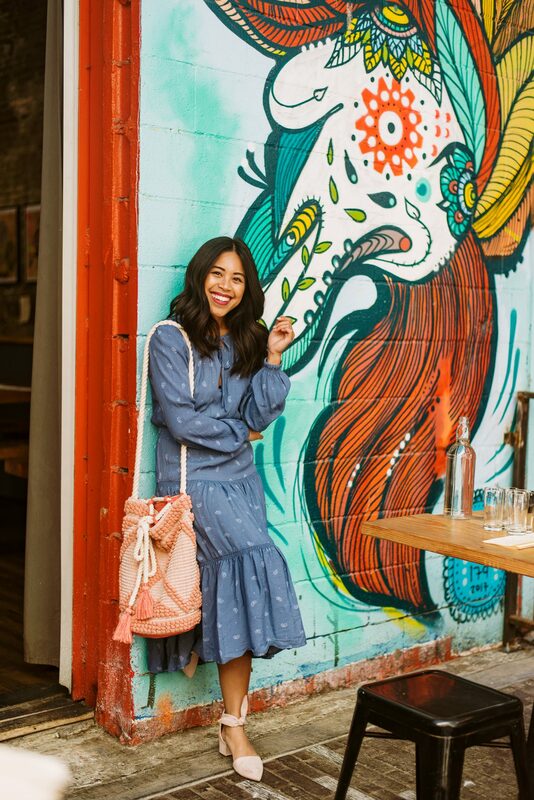 What Seattle neighborhood should I explore next?! Your pictures are amazing..do you do your own, if not would love to know the photographer.. ! I never have seen this donut shop in Pioneer square …going to check out this Saturday! Thank you! I work with my friends Holly @hollypopss or Karya @karyaschanilec.photography for my blog photos! 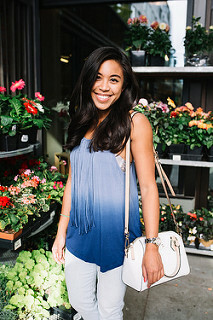 There are a few blog posts where I had my sister or boyfriend take the photos and I edit them, but most photos are from my photographers. Beautiful photos Emma and I love your outfits – lots of favorites! But if you want me to choose I love the peach halter top and your OTS polka dot blouse! This is such a fun post! Even if I wasn’t posting on Instagram, these are places worthy of a visit! Where is your orange top from! Maaaan, I still have not been to the General Porpoise in Pioneer Square! GP is the BEST donut shop around. I’m also obsessed with The London Plane. Such a pretty spot! I haven’t been to these other places yet – must check out ASAP!